HIT! 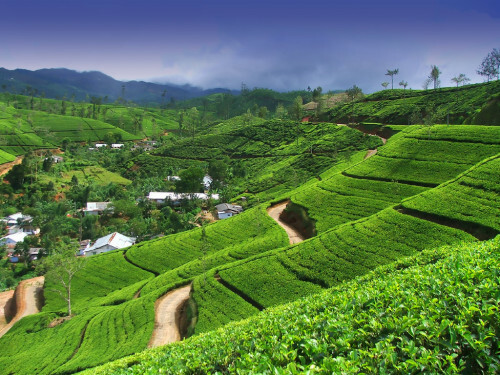 Cheap flights to Sri Lanka: Colombo for €328! 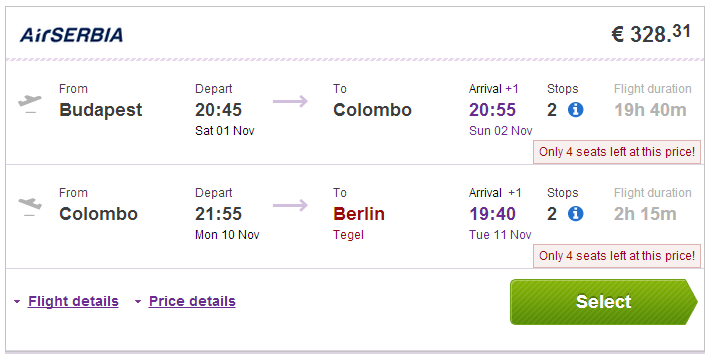 Multicity tickets Budapest – Colombo – Berlin will cost you just €328! This is really good price compared to regular tickets for €600! Eurolines has buses from many destinations in Europe to both Berlin and Budapest. Travel dates are until 10th December and then from 20th January until 19th June 2015. Book on BudgetAir to get this amazing price (click on More options to enter return to Berlin)! There is a stop in Belgrade and I am from this city . Can I step in the plane there or I need to go from Budapest ? Hi Sonja, you have to start your journey in Budapest otherwise the whole ticket will be cancelled. Hi, do you have more example dates after March? Thansk! « 50% sale: great 4* hotel in Vienna for only €19 per person!